Since 2002, Untie The Knot Divorce Service has provided an easy and cost-effective solution to obtaining your official court issued divorce documents. By completing a simple application, we can obtain your Manitoba Divorce Certificate (Certified Copy of Decree Absolute) or a copy of your Divorce Judgment (Divorce Order). 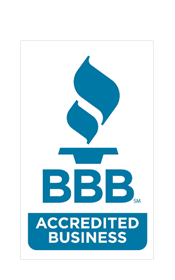 Untie The Knot Divorce Service is a proud member of the Better Business Bureau. To view our BBB reliability report please click on the BBB logo at the bottom of this page. For details on how to obtain an uncontested or joint divorce, please visit www.untietheknot.ca. This service is currently available for a divorce in British Columbia, Alberta, Saskatchewan, Manitoba, Ontario, Nova Scotia, New Brunswick, Newfoundland and Yukon. 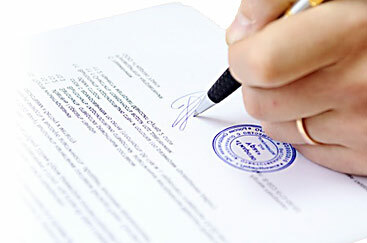 Receive your Divorce Certificate or Divorce Judgment by regular mail. You will need to provide us with a copy of your Divorce Judgment or provide us with the full names of both spouses, year of divorce, court file number, and court registry location in order that we can obtain the Divorce Certificate. If you do not have a copy of your Divorce Judgment, we can obtain it from the Courts for you. If you do not know all the details of your divorce, you will need to contact the Central Registry of Divorce Proceedings. If the divorce was granted prior to 1985, you will need to contact the Archives of Manitoba to obtain your divorce documents. Prices include all fees, disbursements, mailing and taxes. All divorce documents are returned to you by regular mail unless Xpresspost is requested. You will need to provide us with a copy of your Manitoba Divorce Judgment or provide us with the full names of both spouses, year of divorce, court file number, and court registry location. If you do not have a copy of your Divorce Judgment, we can obtain it from the Courts for you. If your divorce was granted prior to 1986, you will receive a Certified Copy of a Decree Absolute. Save $25.00 by Ordering both a Divorce Judgment and Divorce Certificate at the same time. Untie the Knot Divorce Service offers a variety of payment options. We not only accept payment by money order, Visa, Mastercard or American Express but also payment by PayPal and Interac Email Money Transfer. If paying by Visa, MasterCard or American Express, we will require the security code, or CVV code. CVV stands for Credit Card Verification Value. The CVV is a 3 or 4 digit code embossed or imprinted on the signature panel on the reverse side of Visa, MasterCard and on the front of American Express cards. This code is used as an extra security measure to ensure that you have access and/or physical possession of the credit card itself. If you wish to pay using the PayPal service, you must provide us with an email address. Upon review of your completed application, we will email you an invoice which you can then pay directly using PayPal. If you wish to pay by Interac Email Money Transfer, we will contact you with further instructions upon review of your completed application. It is impossible to provide you with an accurate time estimate to complete your request. Court Registries vary greatly in the time it takes to fulfill the request. If your divorce was granted more than a few years ago, the divorce file may need to be retrieved from the Court’s storage location. In most cases, you can expect to receive your Divorce Certificate or Divorce Judgment in approximately 3 to 4 weeks. You will need Acrobat Reader to view the Manitoba Divorce Certificate or Order Application. If you do not have Acrobat Reader or need to upgrade your Acrobat Reader, please click on ‘Get Acrobat Reader‘ to download this free program.